Paris Saint Germain drew first blood after winning the 1st leg of the UEFA Champions League Round of 16 matches versus Manchester United. The two giant clubs met at Manchester United's home turf (Old Trafford) today February 13, 2019 for the 1st leg match and were almost on par with attempts and ball possessions during the match having no goals scored during the first half. The 2nd half started quite differently and PSG was more aggressive and had more chances on goal. Eventually, the 1st goal came just 8 minutes after the 2nd half started. Presnel Kimpembe scored a beautiful volley goal from a corner kick and David de Gea wasn't able to react. The 2nd goal came from a counter-attack just after a few minutes after Angel di Maria's low pass to the center connected with superstar Kylian Mbappe who slid the ball past the keeper. PSG led from there and didn't let any chances for United to get back on the game. The home team's situation worsened when striker Paul Pogba got a red card at the dwindling minutes of the game. All Goals and Pogba's red card. 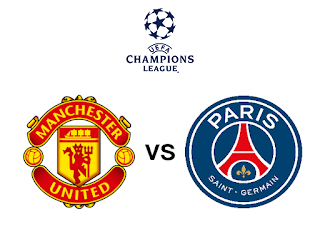 Manchester United will have to dig deep on their 2nd leg match this March 7, 2019 at Parc des Princes in order to keep their hopes of another Champions League title.